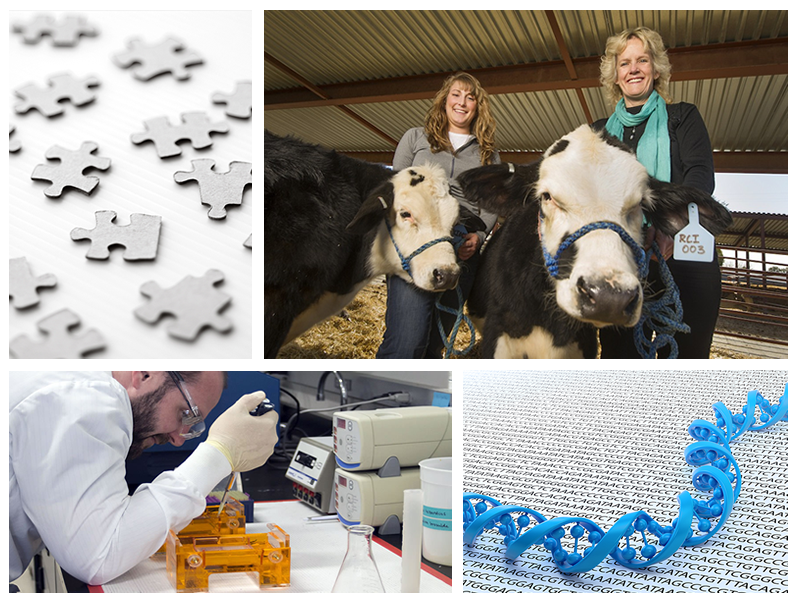 Welcome to the website for the Animal Genomics and Biotechnology Program at UC Davis! The mission of the Animal Genomics and Biotechnology Program is to provide research and education on the use of animal genomics and biotechnology in livestock production systems. The research focus of Dr. Alison Van Eenennaam's laboratory is the use of DNA-based biotechnologies in beef cattle production and agricultural systems. We invite you to explore the teaching, research, and outreach programs and associated resources on our website. The public experience with animal biotechnology often starts and ends with Dolly the sheep, the first mammal ever cloned from an adult cell. The hype that surrounded Dolly rapidly became entangled with the debate over human cloning, and the ensuing discussion failed to elaborate on, or even differentiate between, the broad range of technologies encompassed by the ill-defined term "animal biotechnology". In the absence of information, animal biotechnologies tend to evoke a negative reaction. To address this knowledge deficit and the fact that few general audience educational resources about this topic have been developed by publicly-funded animal scientists, a 30-minute educational movie entitled Animal Biotechnology was produced. Read more about the movie.